I created a pink & brown card filled with cute layers of flowers! 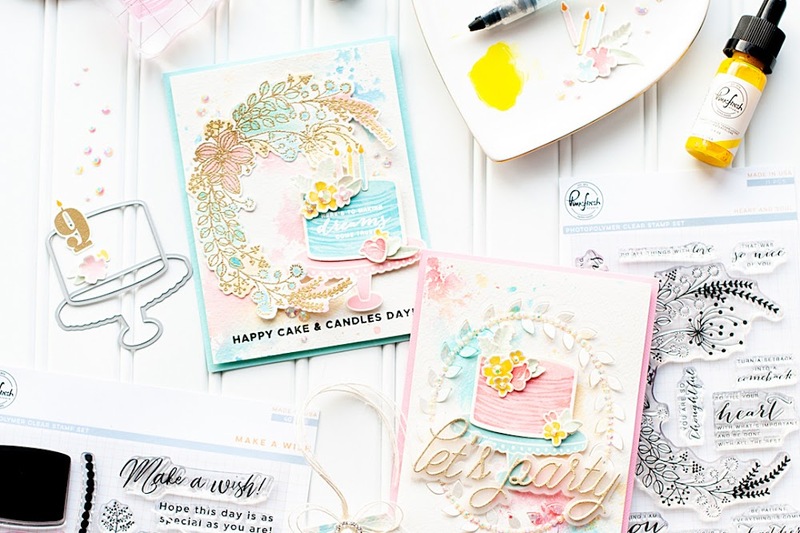 These matching stamps & dies make layering really easy, and adds beautiful dimension to the card without too much bulk. This card is definitely flatter & more simple than most of my cards...but I love it! Here is what I created! 2. Cut stripe paper and adhere to the middle. 3. Stamp the floral border to the top, and the lacey scallop border to the bottom. 4. Stamp the chantilly lace trim to pink chevron paper, then diecut the scalloped border to it. 5. Trim to fit the card, then layer to the front with a folded doily. 6. Diecut the label from kraft carstock, then stamp the frame & sentiment to it. 7. Layer the stamped label to the middle of the card, then accent with stickers. 8. Diecut and stamp all the flower & leaf layers, then layer to the card front as shown. 9. Accent each flower with a tiny pearl to finish. The white ink that I used is a new pigment ink that WPlus9 is releasing...and it works fabulously! It covers beautifully, doesn't over-saturate your stamps....LOVE it! You are going to want this white ink...I promise!! The other two inks that aren't listed in my link list above are Tsukineko aloe vera and Colorbox berry pigment, which was a limited edition ink. I love the sweet lacey borders & beautiful flowers that these stamp sets include!! Be sure to check out what the rest of the designers have created for you today! And don't forget....you can comment to win each day of the release on Dawn's blog! Read her blog post each day for commenting instructions!! I hope you enjoyed me sweet little card today! Yum, yum, YUMM-O! This is FABULOUS, Lea! Happy BIRTHDAY! OMG! Don't you have a fun week planned! Your hair looks AMAZING... (!) I always look forward to your layered up creations of fabulosity! Bravo! Beautiful color choices, love brown and pink together!! 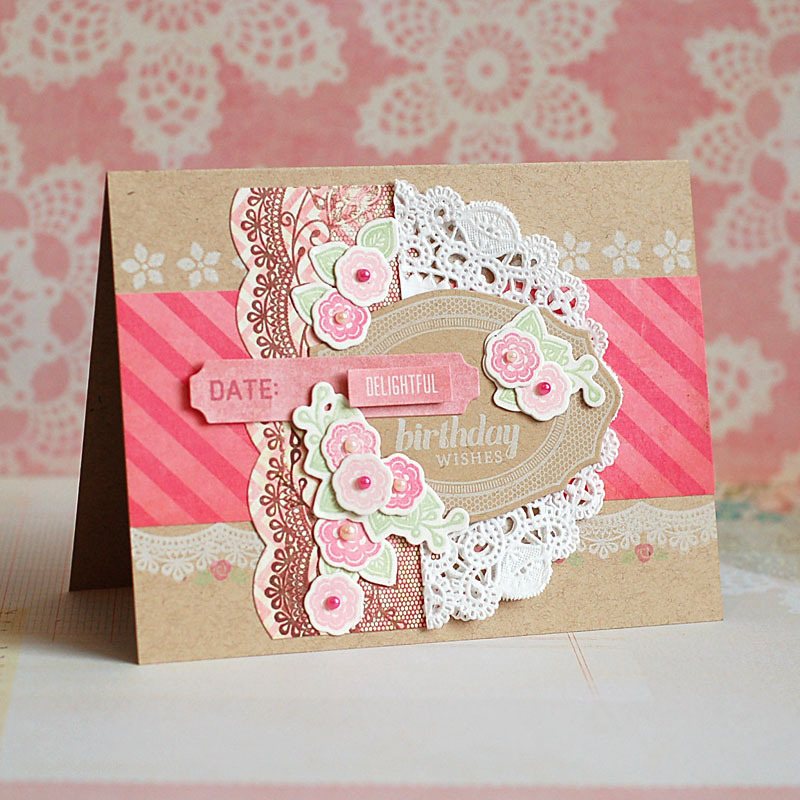 I would have never thought to stamp the lace trim on patterned paper - how fun! This whole card is just girly beautiful deliciousness Lea! Love it! Ever so pretty, and so deliciously girly! LOVE it to bits, Lea, especially all the gorgeous stamp images you were able to so effortlessly tie in! Stunning! So gorgeous, Lea! I love your soft girly colors and the bits of lace peeking out everywhere. So beautiful! Love this new set so much! You brought it all together beautifully! These new lacey images are just beautiful!!! And I love the sweet little pearly accents in the middle of the flowers! Beautiful card. I love all the different layers! This is beautiful. Great details! Thank you so much for playing along in the Inky Impressions' challenge. Good luck in the prize draw. ~ Tonya ~ DT Coordinator. This is so pretty!! I love all the payers and embellies!! Thanks for joining us at charisma!!!! 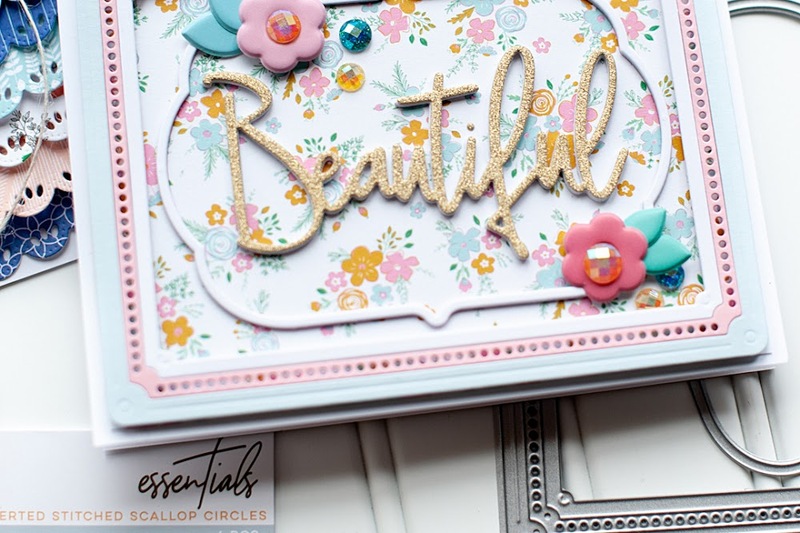 A gorgeous card, such a pretty colour combination and fabulous layyering of the stunning details. Wow, Lea! What a clever card and i love how you totally used our sketch at Tuesday Morning Sketches! Just WOW! Every time I visit, Lea, I wind up with my jaw on the floor! The layering on this card is absolutely breathtaking. 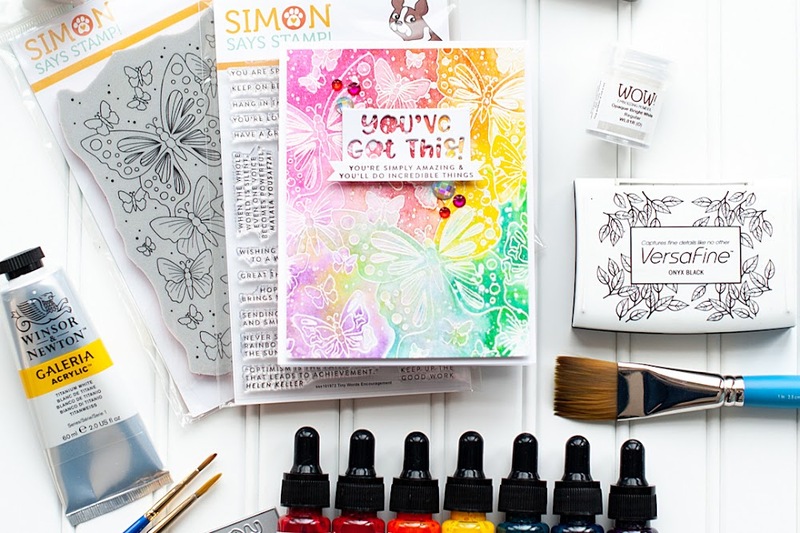 I hadn't thought of stamping the lace border on patterned paper, but it looks amazing. Love the half doily and sprinkling of flowers, too! Gorgeous card! Thank you so much for sharing with us at Charisma Cardz Challenge and good luck! Such a lovely card. Thanks for playing with Charisma this week. Beautiful card Lea, so pretty, I love the white stamping on kraft.